“Avengers: Infinity War” continues to rule the box office. The first summer blockbuster of 2018 earned an estimated $61.8 million domestically, and its international numbers are even better after opening in China. At the U.S. box office, “Avengers” easily outpaced its competition in its third weekend. Melissa McCarthy’s comedy “Life of the Party” opened to $18.5 million while Gabrielle Union’s thriller “Breaking In” came in third with $16.5 million. “Overboard” scored $10.1 million while “A Quiet Place” rounds out the top five with another $6.4 million. “Avengers: Infinity War,” which is now the fifth highest-earning global release of all time, really made waves at the international box office. It made an estimated $343 million at the foreign box office overall this weekend, more than half of which is from China. It opened in its final foreign market with $200 million. That helped push the overseas numbers to over $1 billion, and it’s a huge step up from the last “Avengers” movie’s Chinese box office. “Age of Ultron” earned $240 million in its entire run in China. 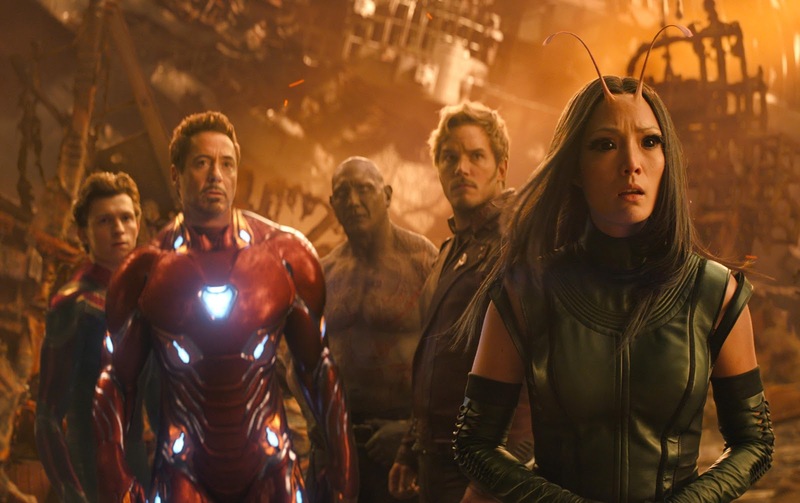 The movie, which features all of Marvel Studios’ biggest superheroes, has pulled in over $1.6 billion worldwide and has a chance at being the first summer movie to earn $2 billion. Currently, only “Avatar” and “Star Wars: The Force Awakens,” both winter releases, earned over $2 billion during their original box office runs. At the very least, “Infinity War” will soon become the biggest summer box office movie of all time. “Jurassic World” currently holds the title $1.671 billion, according to the Hollywood Reporter. “Infinity War” is expected to surpass that by next week. However, next weekend is expected to be the end of Thanos’ hold on the box office. “Deadpool 2” is likely going to finally knock “Infinity War” out of the top spot. The movie’s opening weekend is predicted to earn $150 million in the first weekend. “Deadpool 2” is also a Marvel superhero adaptation featuring actor Josh Brolin, but the Merc with a Mouth is produced by 20th Century Fox. “Avengers: Infinity War,” meanwhile, is produced by Marvel Studios. Don’t feel bad that the Disney-owned label is likely losing the top spot, though. The studio has had an insanely successful run with not only “Avengers” but also “Black Panther.” Though the latter was released on digital platforms last week and will come out on DVD and Blu-Ray Tuesday, audiences are still going to the theater to see it. “Black Panther” was No. 9 at the domestic box office this weekend with an estimated $1.9 million. The movie’s worldwide box office total currently sits at $1.3 billion.